High-quality cameras and innovative tech are key Sony features. With affordable and premium devices, we'll have a Sony contract that's ideal for you. £462 total cost over 2 years What's This? Before 2011, Sony was known for their collaboration with Ericsson, with the two forming together to release several revolutionary smartphones. The pair introduced the very first 8MP camera to the market, raising the standards of cameras on mobile phones worldwide. The Cybershot range was a major success, and Sony Ericsson became known for its superior quality cameras and innovative designs. The evolution from Sony Ericsson to Sony occurred in 2011, and the split came after more than a decade as partners. 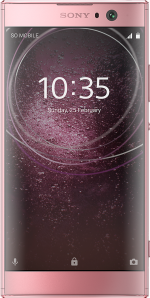 The Japanese company went on to produce smartphones alone, recently releasing the newest flagship Sony Xperia range. Powered by Android, and featuring SonyÃƒÂ¢Ã¢â€šÂ¬Ã¢â€žÂ¢s Bravia TV technology, its latest models are a major competitor in the smartphone market. 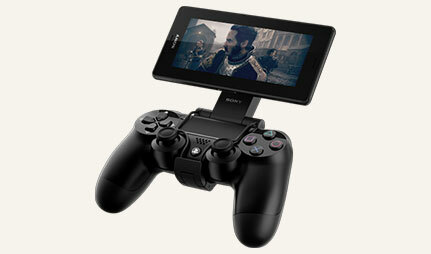 Exmor RSÃƒÂ¢Ã¢â‚¬Å¾Ã‚Â¢ Sensor: Many Sony phones feature Exmor RSÃƒÂ¢Ã¢â‚¬Å¾Ã‚Â¢ technology, enabling phones to capture HDR photos and videos. HDR photos capture natural colours in any light, allowing users to take beautiful images even in high contrast situations. Brightly lit rooms arenÃƒÂ¢Ã¢â€šÂ¬Ã¢â€žÂ¢t a challenge for this new sensory technology and the sensor also improves image quality and functionality while reducing image size. Triluminos and 4K displays: The Xperia Z range features a display thatÃƒÂ¢Ã¢â€šÂ¬Ã¢â€žÂ¢s as vivid and sharp as a HDTV screen. 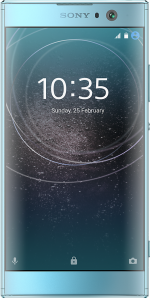 Advised by expert TV engineers, the display of the Xperia XZ phones is as clear as it possibly can be, with a Triluminos display and 424 ppi pixel density. The XZ Premium goes one further with a 4K HDR screen. OptiContrast :OptiContrast technology eliminates a layer of air between the LCD panel and the protective glass screen. The result is a less reflective, more responsive touch screen. PS4 Play : Available on the Xperia X, Z3, Z4 and Z5, you can now play your PS4 remotely from your device. With a vast range of premium to budget devices, Sony is a manufacturer that strives to bring high-quality tech to everyone. 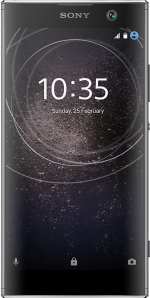 If youÃƒÂ¢Ã¢â€šÂ¬Ã¢â€žÂ¢re on the market for a reliable smartphone from an established, pioneering manufacturer then one of our Sony contract phones might be exactly what youÃƒÂ¢Ã¢â€šÂ¬Ã¢â€žÂ¢re looking for. Struggling to decide between the Sony XZ1 and the smaller XZ1 Compact? Compare the specs, and find out which device is right for you, at Mobiles.co.uk.